On receiving the appointment letter which will be issued by the DEO after formation of polling party, familiarization with the other members of the polling parties and maintenance the close relation with them. Ensure replacement for absent polling party member from reserve. Read carefully the different forms statutory and non statutory as given in the PRO Hand Book. Take the training attentively there should be no confusion about the functions, forms and envelops. If any doubt get clarified from RO/ARO. Finding names of polling officers for that polling station as member of polling party. If any body is absent then ensure appointment of other out of reserve polling personnel. Contact with members of polling party for that polling station. Attending training session is also ensuring last minute EVM hands on skill. Contact with Zonal Magistrate for guidance and help in departing for polling station in designated vehicle through pre decided route and check post. The control unit and balloting unit(s) given to you pertain to your polling station. Compare the machine number inscribed on the metal label and the adhesive sticker and also verify the PS no indicated on the sticker compared with PS no. mentioned in the address tag before accepting the EVM. Discrepancy if any shall be brought to the notice of the officer in charge of dispatch arrangement and is reconciled. The ‘C and Set Section’ of control unit is duly sealed and address tag is firmly attached thereto. The battery in the control unit is fully operational. Remember to switch off the battery after checking the Control Unit. The balloting unit(s) has been duly sealed and address tags are firmly attached, both at the top and bottom right portion. The appropriate ballot paper has been affixed on each balloting unit and is properly aligned under the ballot paper screen. The slide switch has been set to the appropriate position in each balloting unit. all deletions of names and corrections of clerical or other errors as per the supplements have been incorporated. Tendered votes should be available for the same AC. Photo copies of specimen signatures of the contesting candidates and their election agents. This will be helpful in verifying genuineness of signature of the candidates in the appointment letter of the Polling Agent at the polling station. 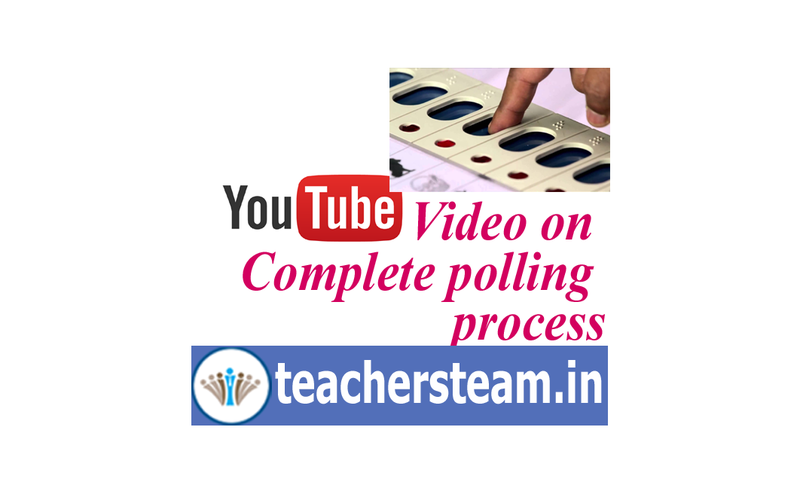 Other important polling material like dummy card board EVM, stamp pad, green paper seal, strip seal, statutory forms, register of voters (Form 17A), Form 17C etc.,. If you are the Presiding Officer for a polling booth situated in a building having upto two polling booths you will be provided an alphabetical list of electors of your part. List of absentee/missing voters, communication plan & vulnerable polling station/hamlets will also be provided to you. On the arrival at polling booth ensure display of notice specifying the polling area and the number of electors assigned and also a copy of the list of contesting candidates. Referral image sheet will be provided to facilitate identification of voters. The voting machine and the polling materials entrusted to you should remain in your custody throughout, till the poll is completed and the voting machine and the materials are handed over back by you. Either you or one of the Polling Officers selected by you should remain in the polling station in charge of the voting machine and polling materials from the moment you arrive there. The voting machine and polling materials should not be left in the custody of the Police Guard on duty at the polling station or any person other than yourself or a Polling Officer selected by you.